Well our last day of our Big Summer Bridal Giveaway has arrived and we are ending it with a splendid giveaway from The Wedding Chick Boutique. 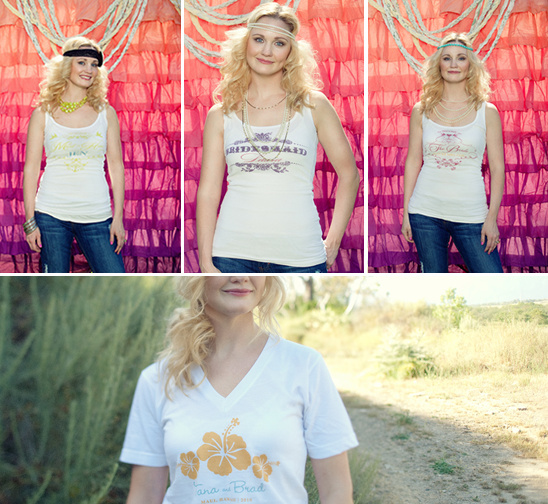 One of you lucky ladies will win a set of 6 bridal party tees or tanks and a set of 6 wedding tote bags for your bridal party or maybe just for you. It is very easy to win all you have to do is visit our shop and come back and leave a comment on what you would like to win. Remember all of our totes are custom so we can add your name and wedding date along with your colors. They will all be made super special with love just for you. Enter as often as you like. Winners will be announced next week and all contests from the Big Summer Bridal Giveaway will close this Sunday, August 1, 2010! 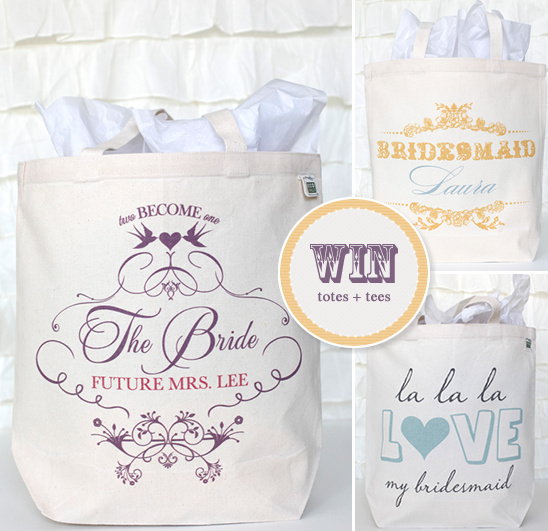 Check out all of our amazing giveaways for The Big Summer Bridal Giveaway!